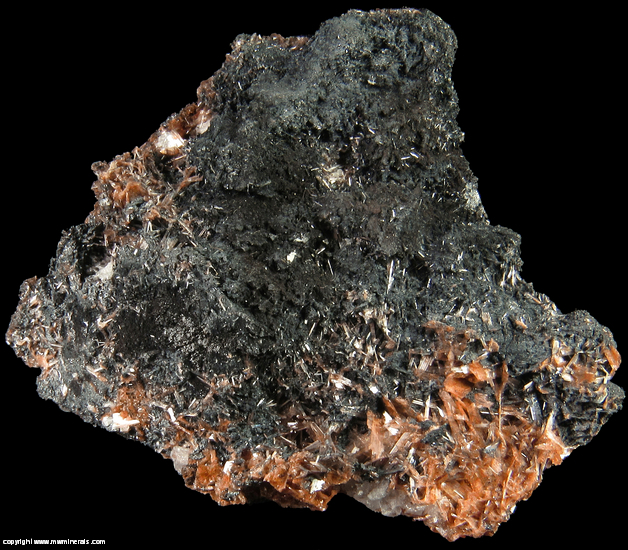 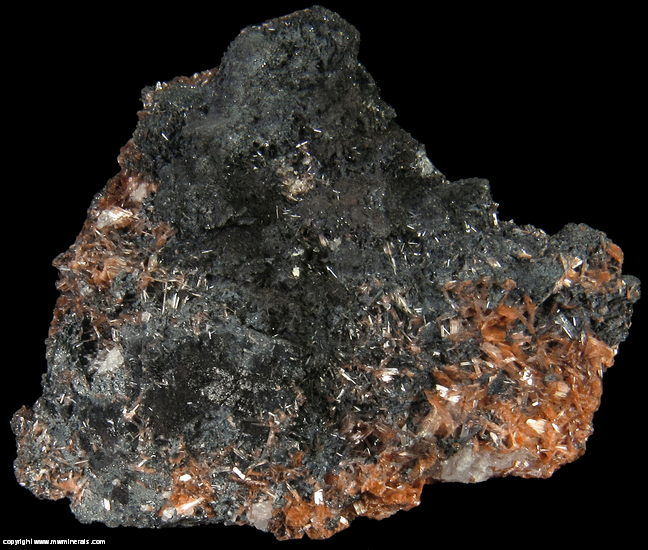 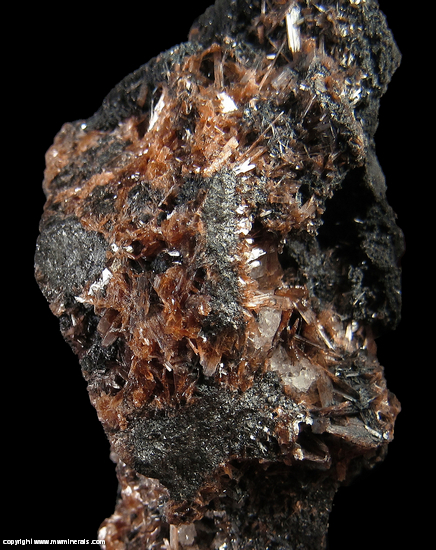 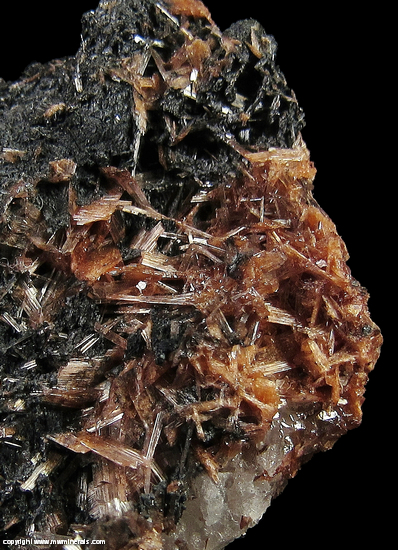 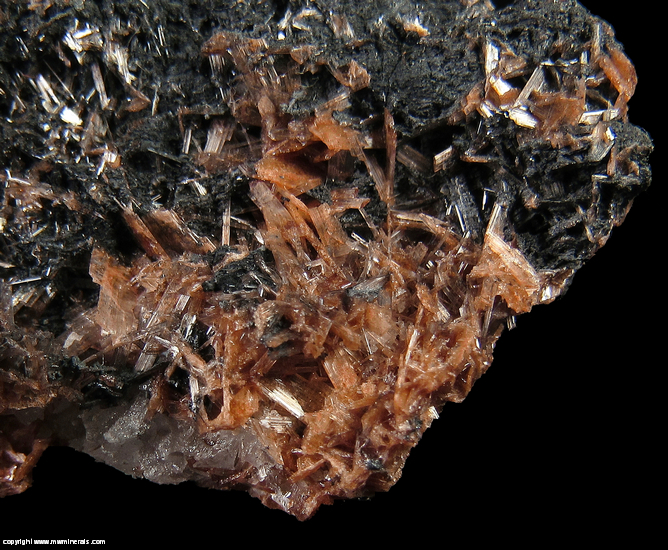 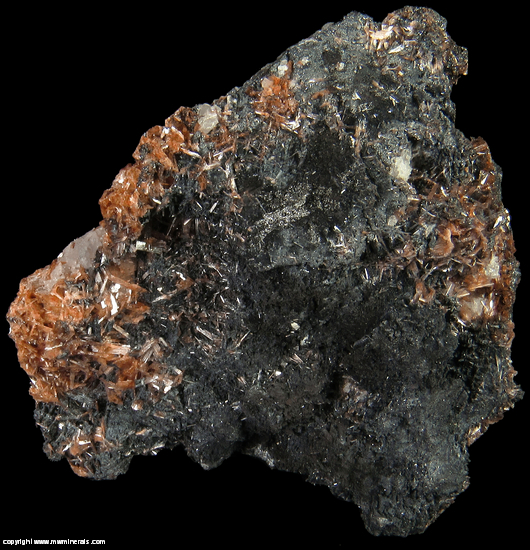 Dark red/orange colored, bladed crystals of Inesite can be found in two areas of this specimen. 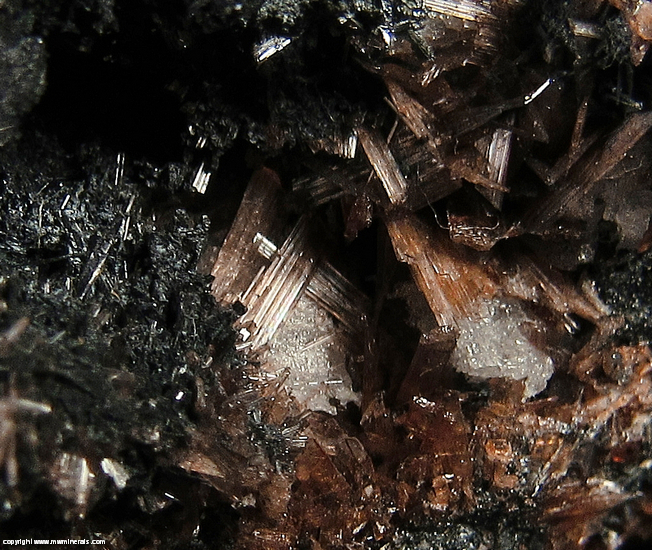 The crystals have a high glossy luster. 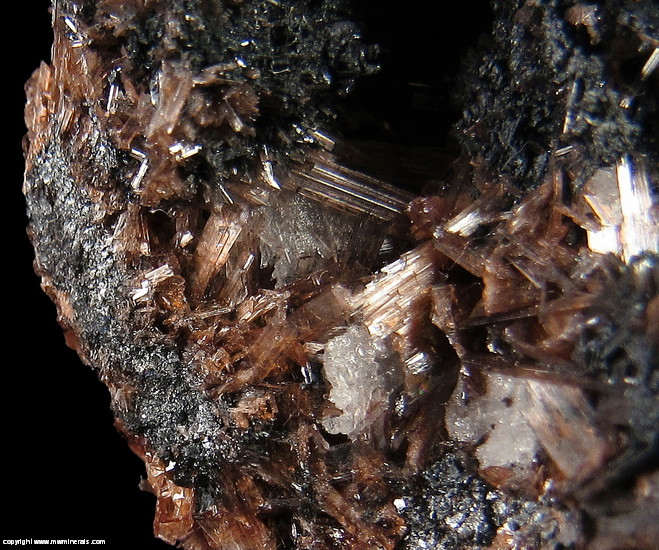 Flaws: Some of the Inesite crystals are incomplete.